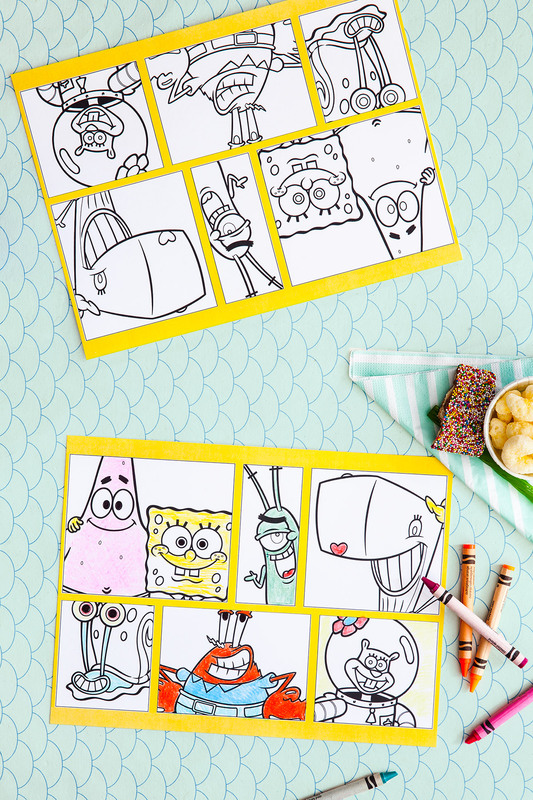 Kids can color in the members of Bikini Bottom while waiting for cake or krabby patties! 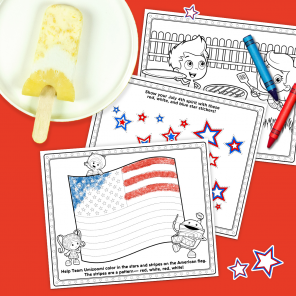 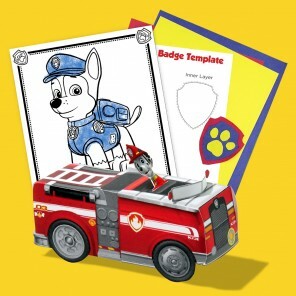 Print these babies out and bring out the crayons! 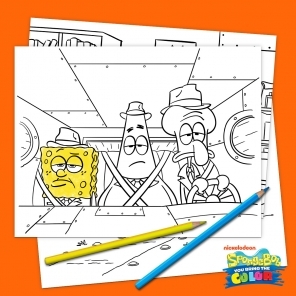 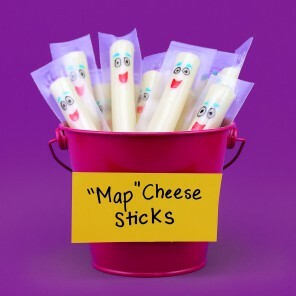 What party guest will be able to resist coloring in those smiling, handsome, Bikini Bottom faces? 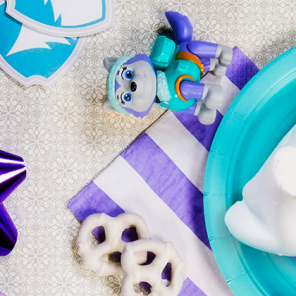 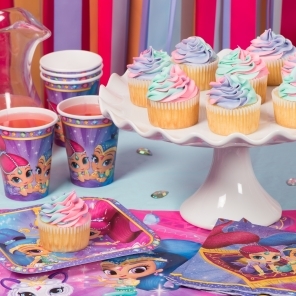 These free printable placemats are the perfect, low-key entertainment for your SpongeBob-themed birthday party.